 August 27, 2018: Killerspots.com, Inc. has proudly announced that it is offering a wide range of digital marketing and media production services to some of the leading brands worldwide. 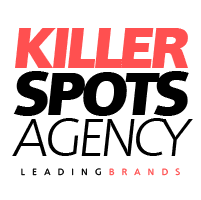 Based in Cincinnati, Ohio, Killerspots digital marketing agency is also creating a major buzz worldwide for its high-quality Radio Commercial Production services and social media management/marketing. Furthermore, the media agency has also won the internationally renowned Telly Award six times. “We take great pride in serving some of the best names in the industry and our services cover everything from website design, radio commercial production, on hold custom messaging, video commercial and social production, email automation, studio rentals and much more.” Said the President of Killerspots.com Inc., d/b/a The Killerspots Agency, while introducing the company’s services. “We also deal in result-oriented SEO services, effective graphic designing and productive business branding.” He added. Bennett also expressed the agency’s gratitude towards its constantly growing number of partners and clients for over 20 years in business. In addition, the team of creative experts at Killerspots give dedicated individual attention to each project. The culture at Killerspots is based on drawing an effective strategy while formulating that strategy with ROI. The agency is getting a phenomenal response from its clients worldwide, and these clients are turning into agency partners. Radio production, SEO, digital marketing, and social media strategy are some of the most intensely competitive industries in today’s digitally driven world, and the agency is proving itself to be the best in business with its focus and dedication.